In an off board conversation, Scott at Pueblo indicated that he was also working on a stripped down model specifically for the Taper market. 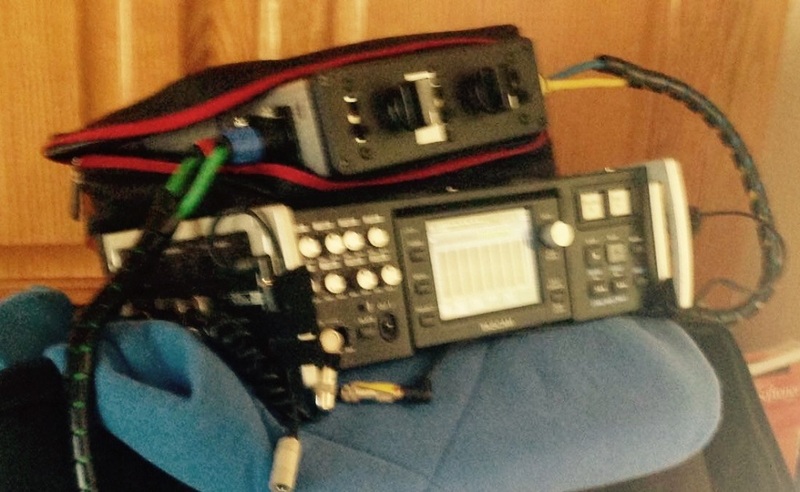 Battery life on his prototype Pre was 50 hours with phantom running to a Schoeps mic. It sounds like this might be available in the first half of next year. Given the declining number of separate battery powered preamps available to us, this sounds very interesting - especially since it is coming from an existing manufacturer of well regarded studio preamps and will be tailored to the Taper community. While a lot of us have moved to all in one recorders, I still appreciate having the option of running a really good preamp or two in front of my recorder for some shows. Thanks for the posting and the link! Just put a deposit down on a unit, so I am hoping to pick one up out of the initial production run. Pueblo pres keep company with Gordon, Forssell and Pendulum products. I'm really interested in seeing/hearing this unit. As of this writing, the ISLETA design is planned to offer 0dB to +80dB of gain, full-spec Phantom Power, and transformer-balanced floating outputs. Depending on microphone powering needs, battery life will sustain for 48-72 hours! The price is projected to be $1,099 USD (batteries and charger not included). Size will be approx. 6"x8"x2". In addition, the design is being leveraged to accommodate an even more affordable "lite" version. This version would offer unbalanced outputs, omitting the output transformers. Price for the lite version is projected to be approx. $799. All prices and features are subject to change. Scott at Pueblo is interested in hearing what the Taper community might want in a battery powered preamp. Right now, the "lite" version is the model oriented towards our community. I have suggested that he also provide a mini jack output. He thinks he could also lower the price by using less expensive non-stepped pots (the standard model pots are stepped). That might get the price down to $599 - $699 or so for a high end two channel preamp. Batteries are extra, but he is building this to use easily replaceable, commercially available off the shelf batteries at @$39 each. So, if you have suggestions and ideas about what you would like to see in a pre, now is the time to let him know. FWIW, I have no affiliation with Pueblo. I just want to see a good pre get developed. I really like the two pot approach I can use on my SD702.. one pot for gain the other pot for adjusting balance, as apposed to two gain pots. Pueblo has an interesting approach where they make the power supplies and phantom supplies for their rack mount preamps as all separates. Even on their two channel pre that has the phantom power onboard you have to jumper the P48 to the mic input. I guess anywhere you can eliminate noise is a good thing. My suggestion would be to have combo XLR/TRS ins and outs if you have the room in the case and to include an unbalanced 1/8" TRS output. Lots of hobby tapers use handhelds with mini inputs. Have you decided yet if the XLR In/Out will be on the rear or the side of the unit? In addition to the transformer-balanced main xlr outs, there will also be an auxiliary unbalanced output on 1/8" mini trs jack. This is a separately buffered, tranformerless output; akin to the Aux Outs of the standard Pueblo range. Useful for feeding a back-up recorder, cue sends, etc. Targeted for second quarter. Hybrid DI box is coming first. May have adjustable input impedance. FWIW, I do have one on order (I ordered the standard box, not the lite version) and would be happy to report on it once I get and have a chance to put it through its paces. I believe a few other folks here also ordered one, although I am not sure which models. An update from Pueblo. DI box is now launched. 2. LED indicator of battery condition. 5. +2.5dB to +60dB, 24 position Gain Switch. 2.5dB per step. ±0.1dB match. 7. Main XLR output: ultra-high performance transformer balanced output. 8. Auxiliary 1/8" Stereo mini-jack: unbalanced transformerless output. Price is still targeted at $1099 (batteries and charger not included). More information to come. Thanks for your continued interest!" A lite version without transformers is still planned for $799.